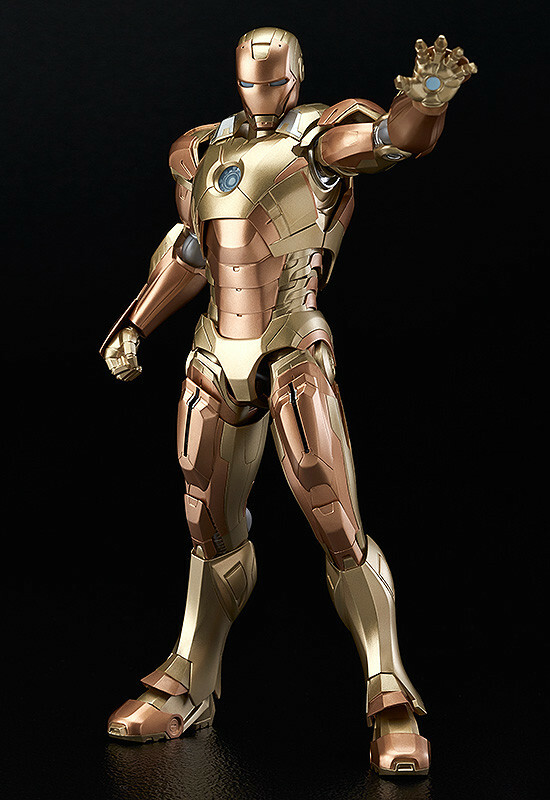 The Iron Man armor named after the Golden King! 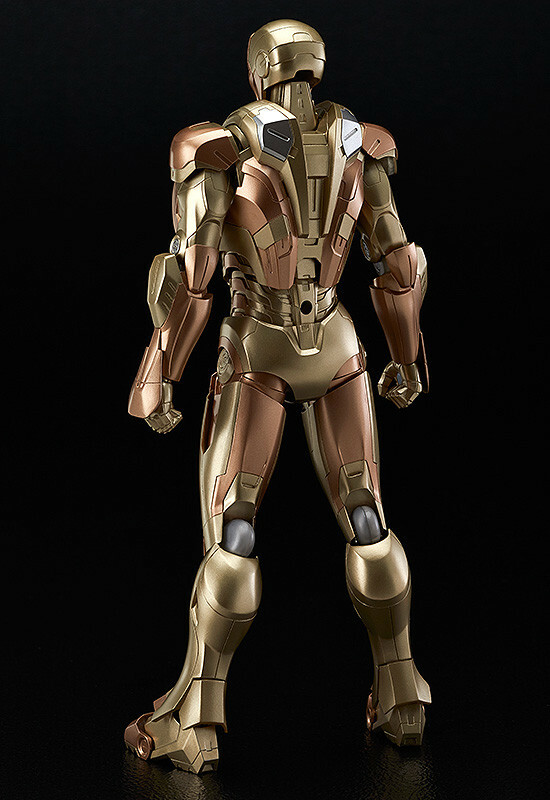 The newest powered suit to join the figma series is the Iron Man Mark XXI suit that earned the name 'Midas' based on its golden color! 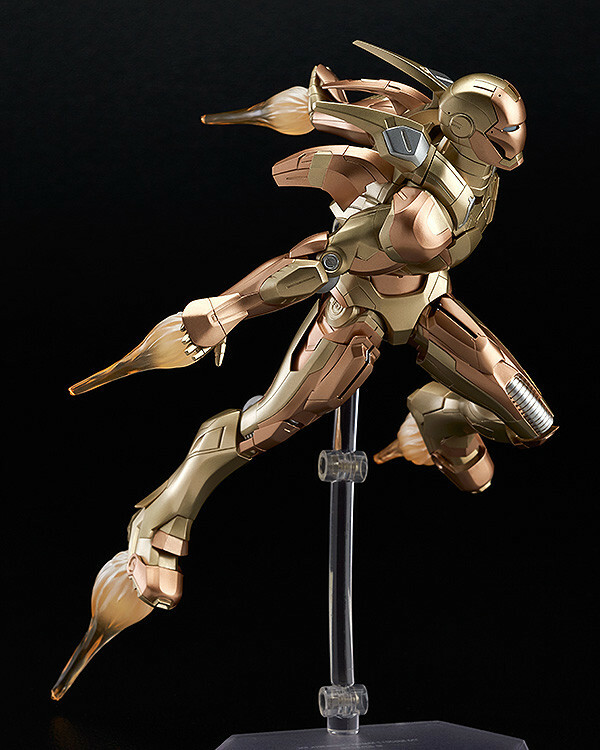 Using the smooth yet posable figma joints, you can act out a variety of different scenes. 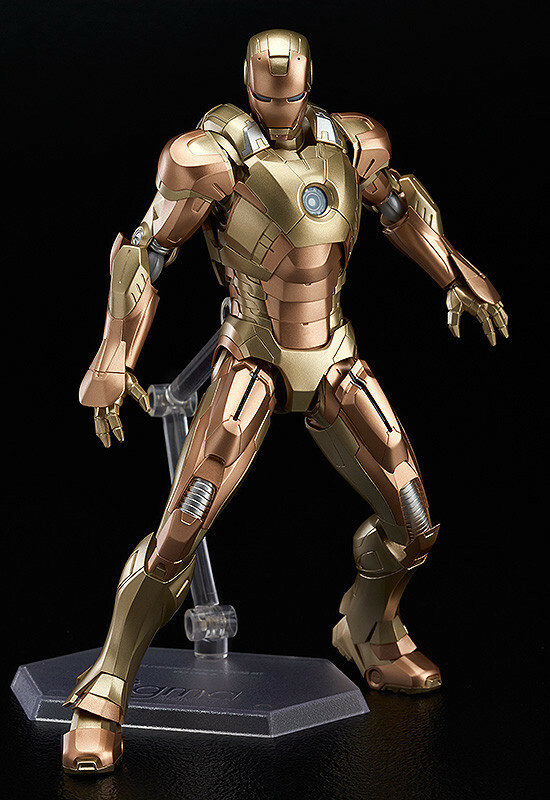 The sharp details and the texture from the paintwork has been done with great care, ensuring a high-quality figure. Careful thought has gone into all points of articulation, preserving his heroic appearance while allowing for various poses. 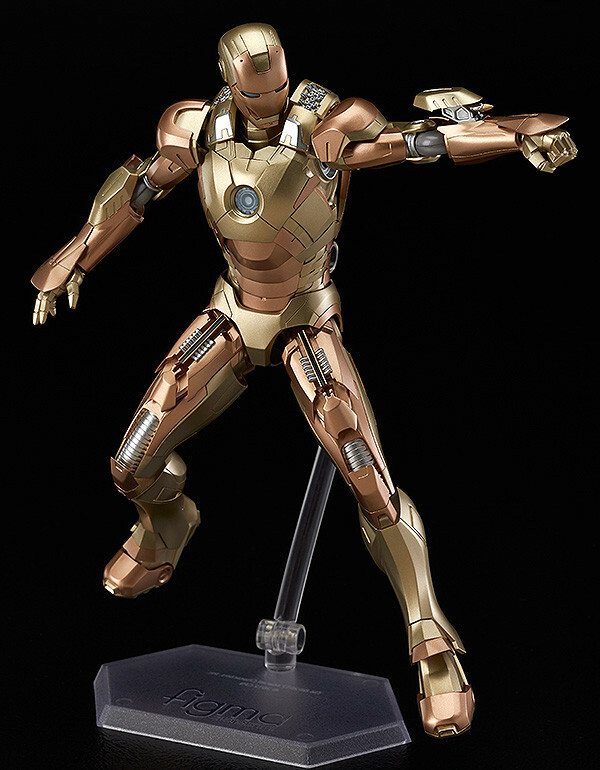 Along with a number of alternate hand parts, he also comes with effect parts for flying and firing his repulsors. Coming July 2016 for 8,148 yen.